Mickey attempts to woo Minnie over the course of a busy day in Venice, Italy! Mickey Mouse first came into our lives in 1928 with a whistle and two step in the classic Disney cartoon Steamboat Willie. He has since existed as an icon of Disney, our childhoods, and Magic Kingdom. Mickey has appeared in over 130 films including Brave Little Tailor (1938) and Fantasia (1940), as well as television shows like the New Mickey Mouse Club (1996)! 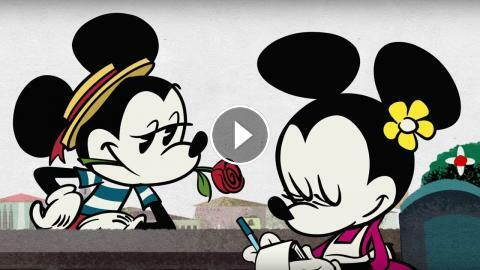 With Minnie Mouse, Pluto, Goofy, Donald Duck, and his nemesis Pete, Mickey is back for more fun and adventures in a ton of new Disney animated shorts. Fans of all ages, new and old, are sure to enjoy!